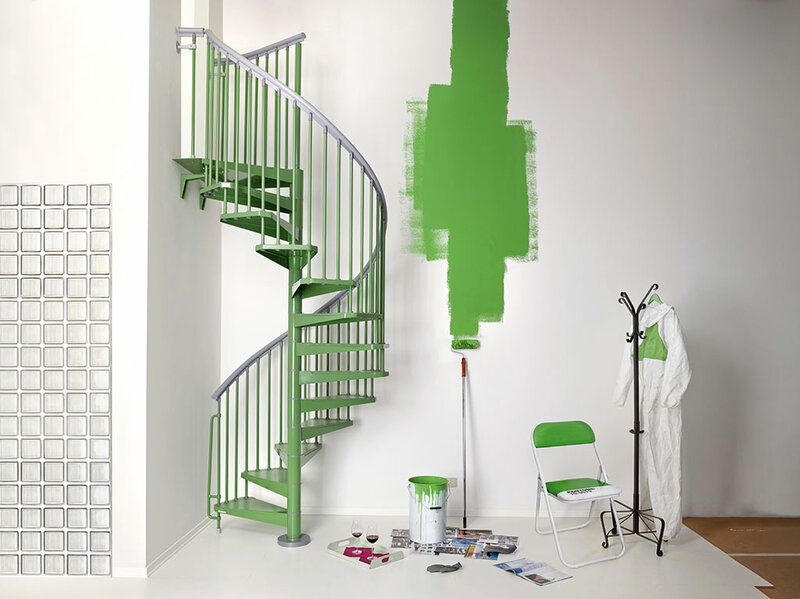 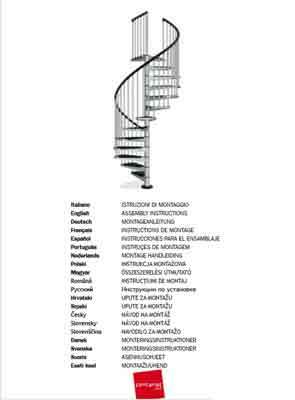 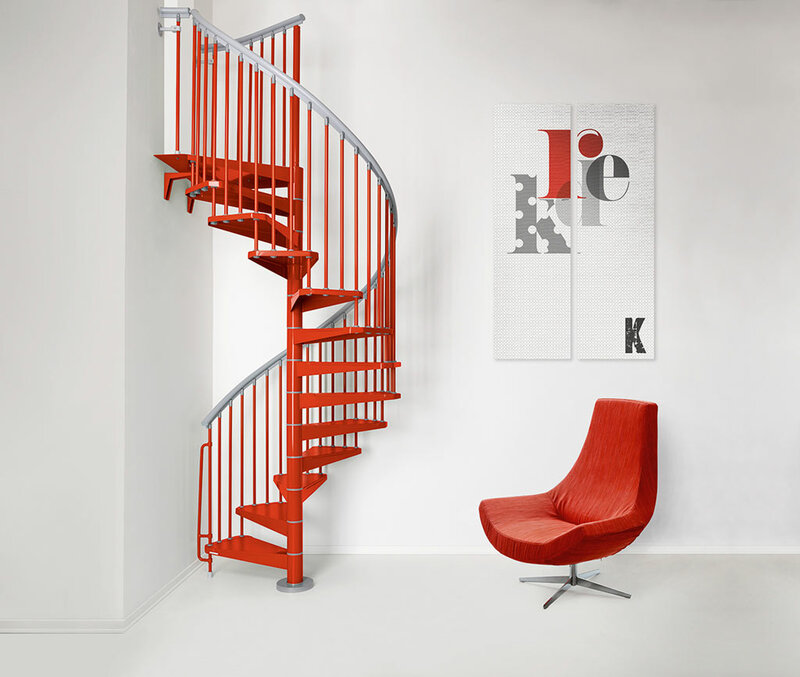 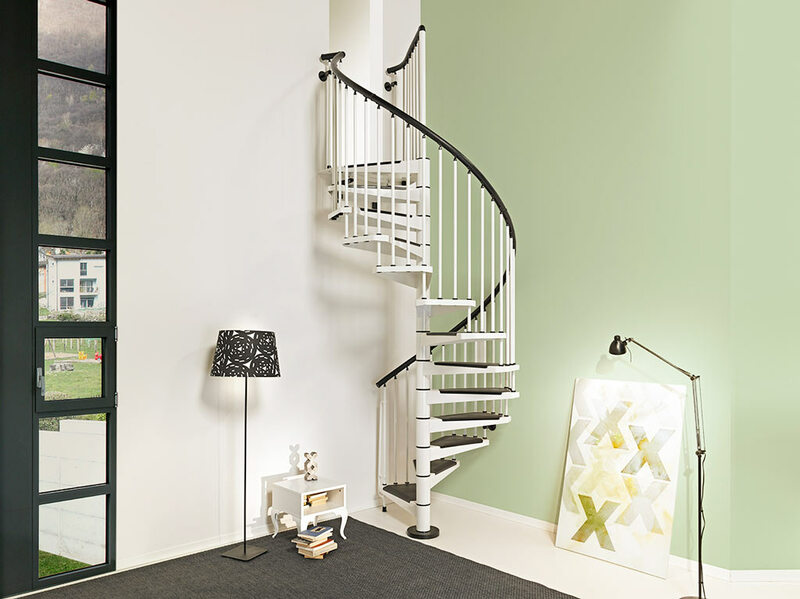 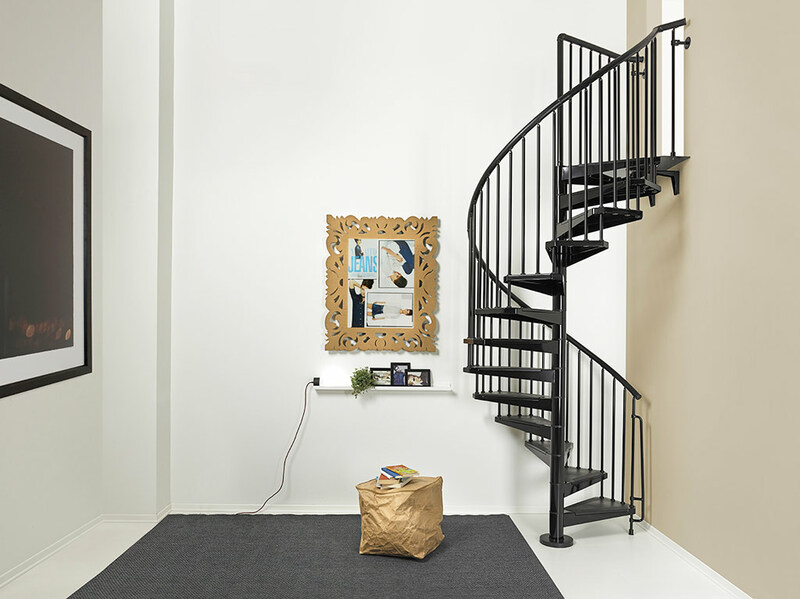 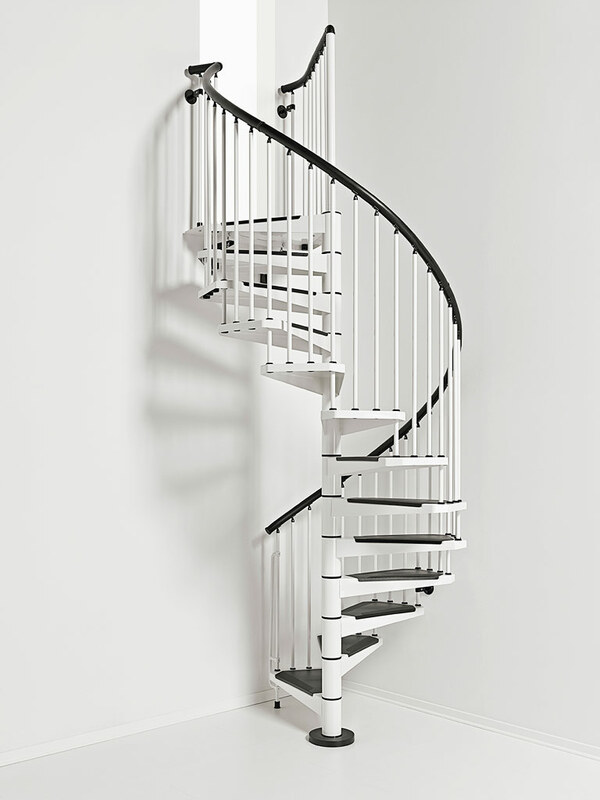 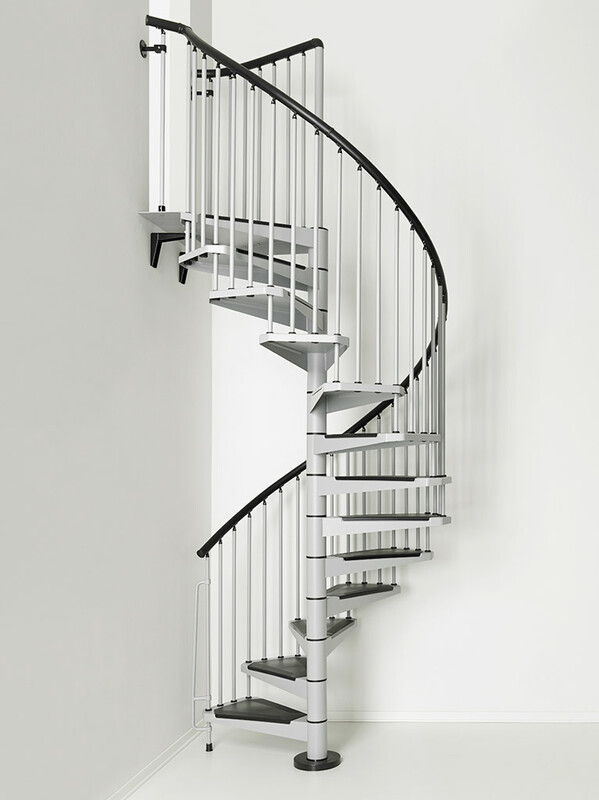 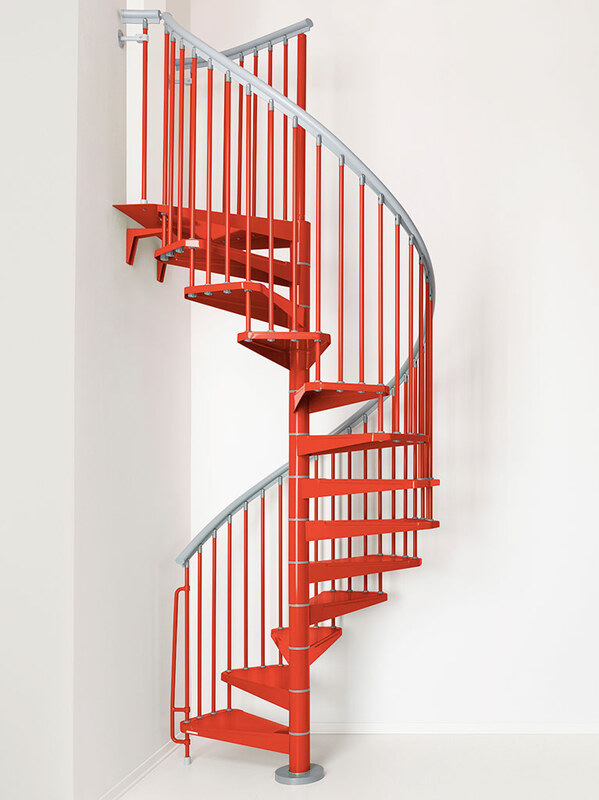 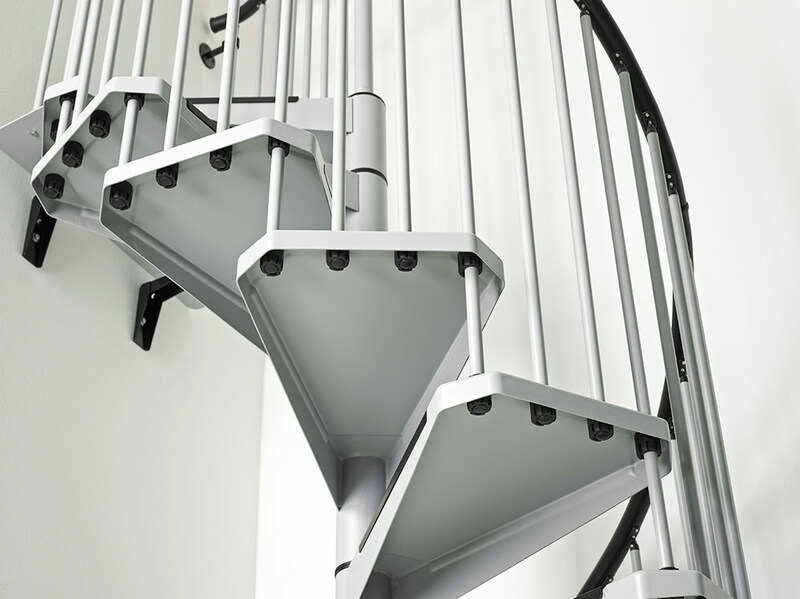 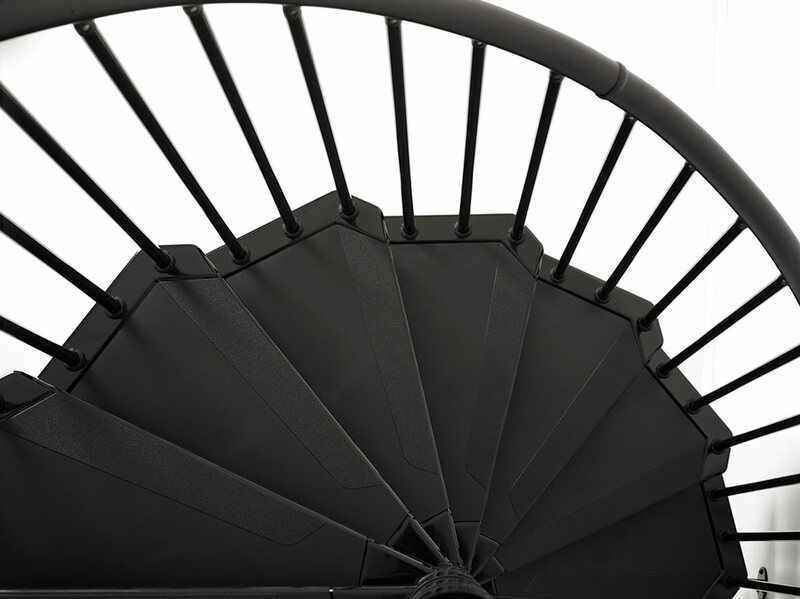 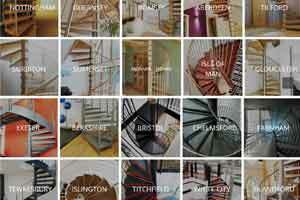 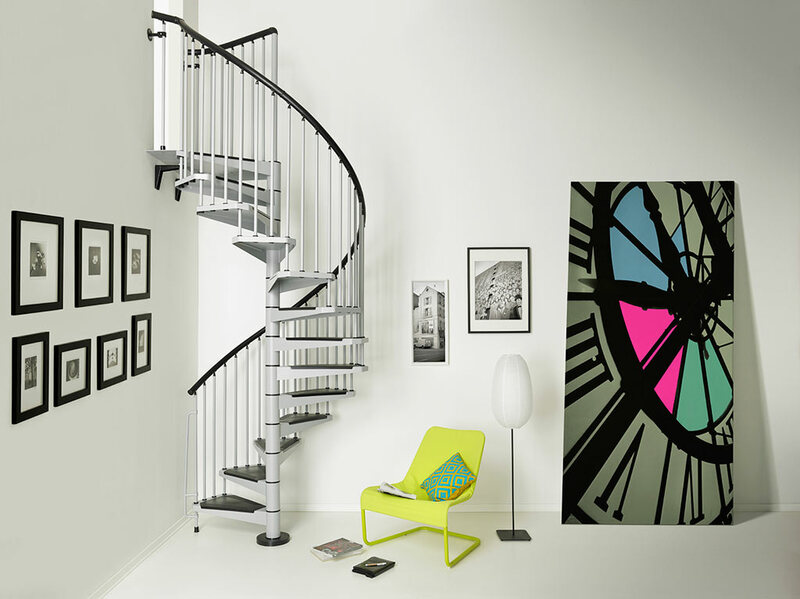 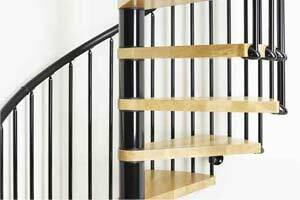 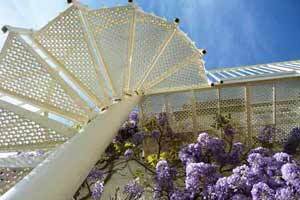 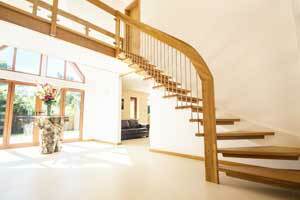 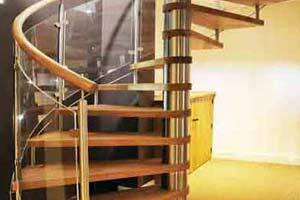 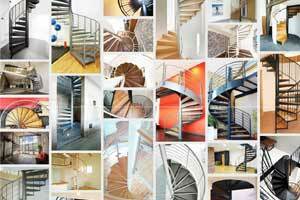 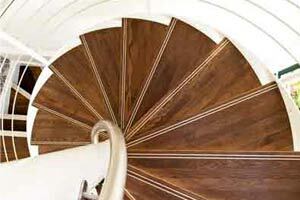 The Klio spiral staircase is a versatile solution to access an upper level in a home. 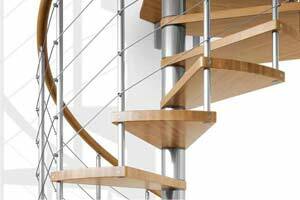 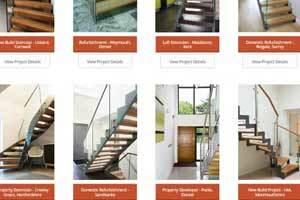 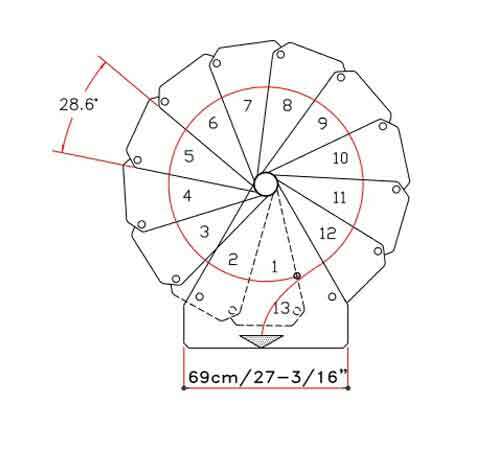 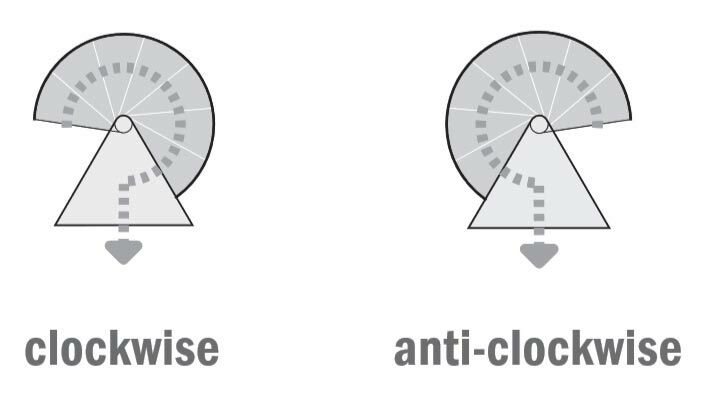 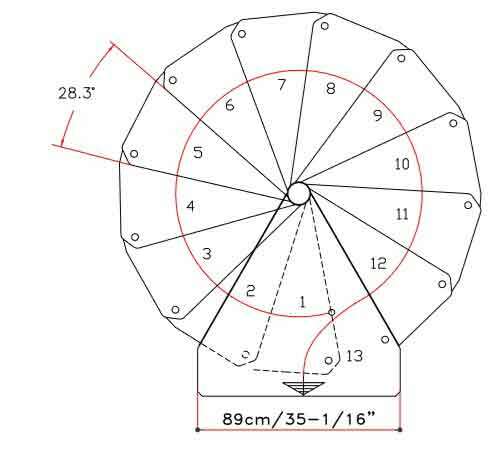 Due to the available diameters it is specifically sold as a secondary domestic spiral or at least one accessing one or two rooms. 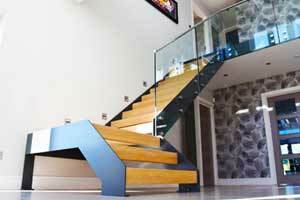 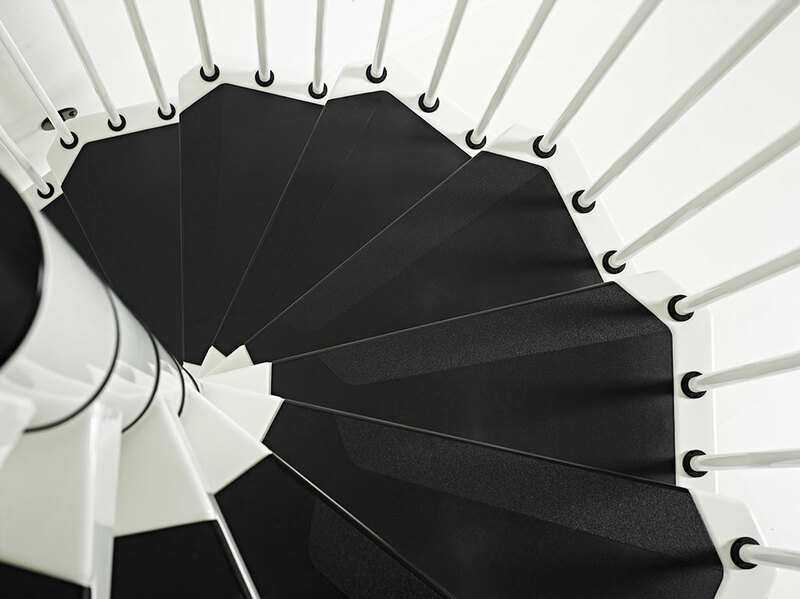 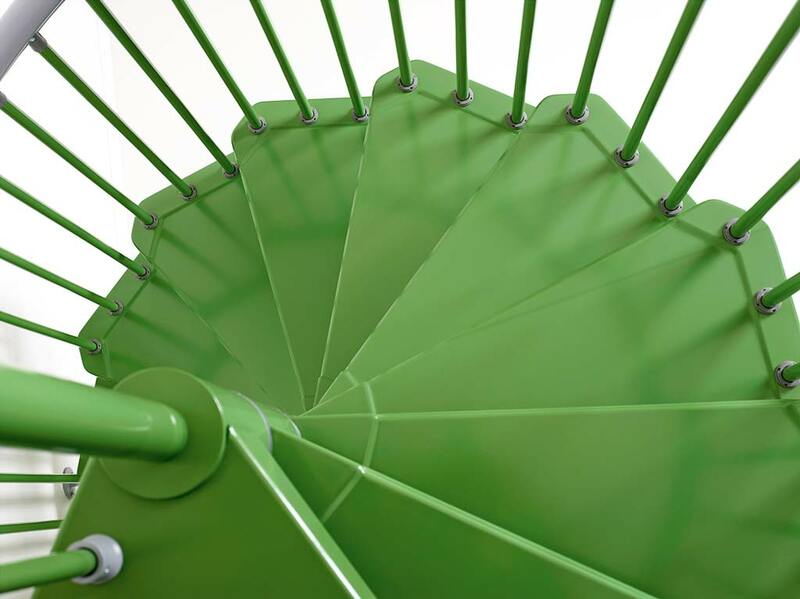 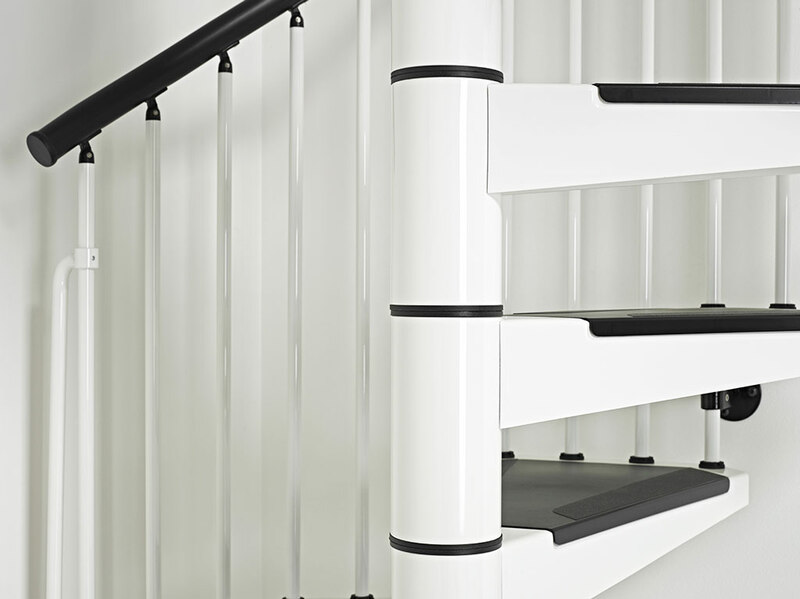 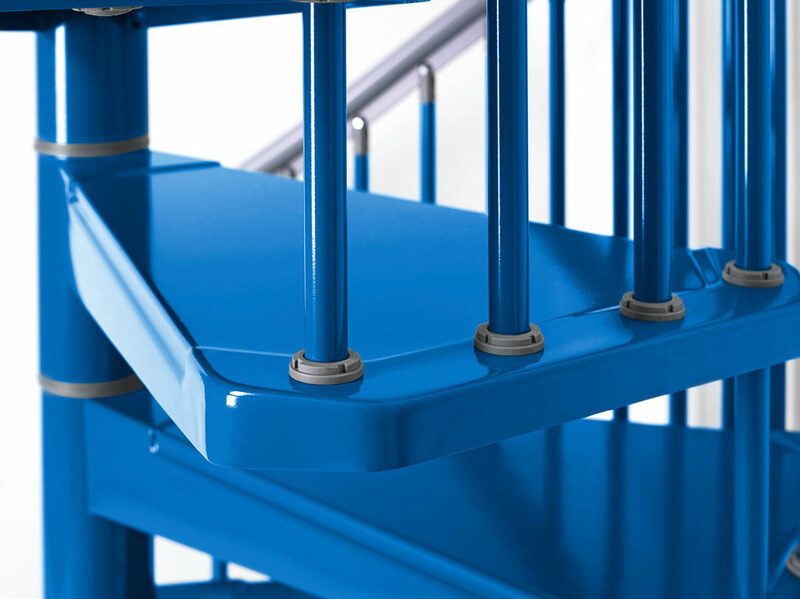 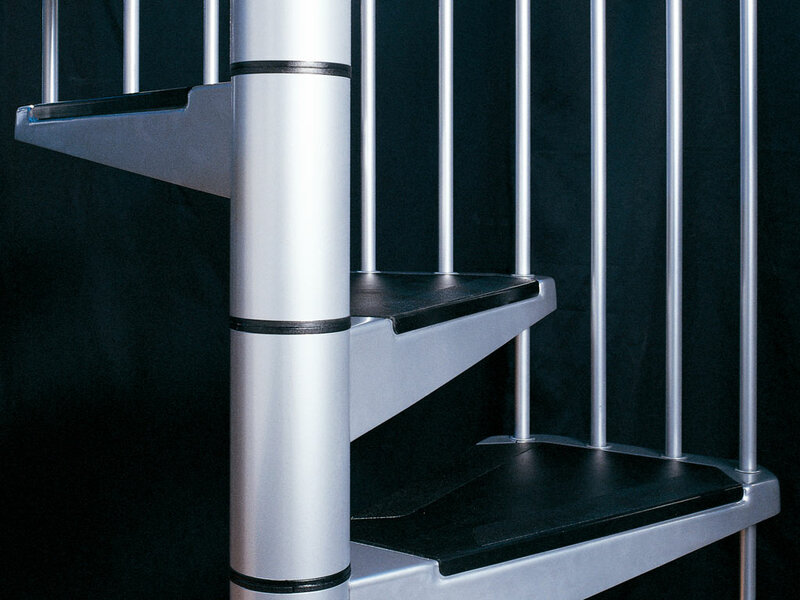 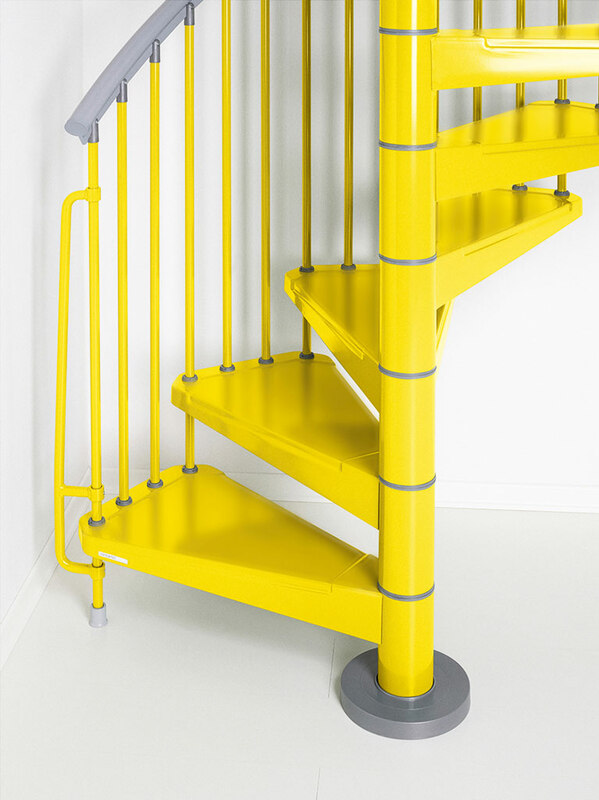 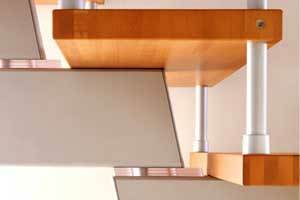 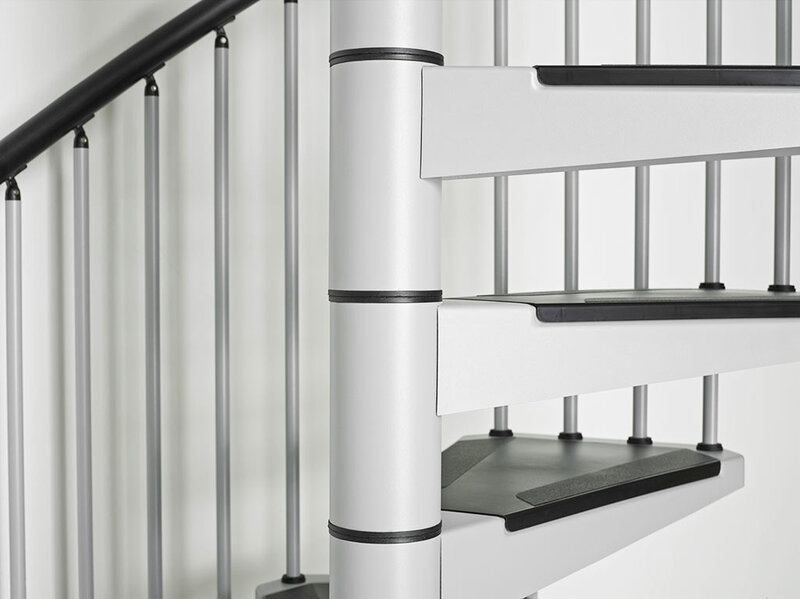 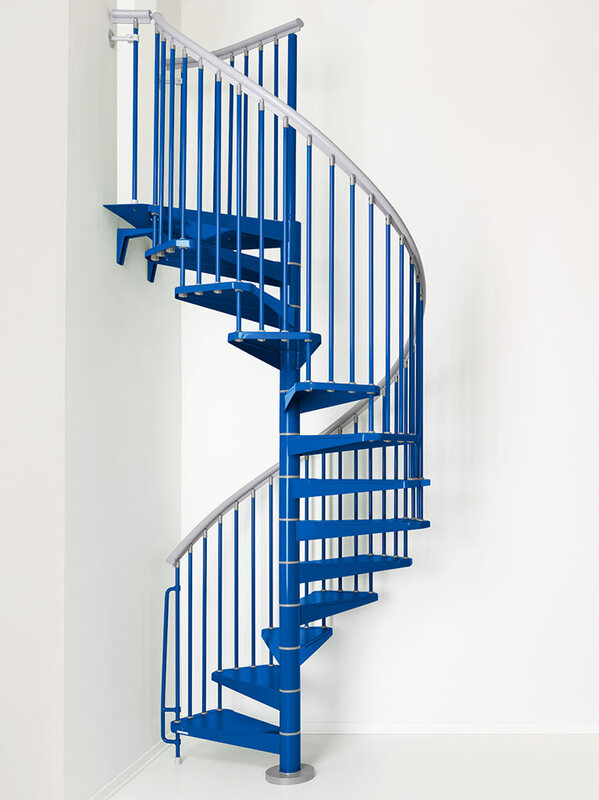 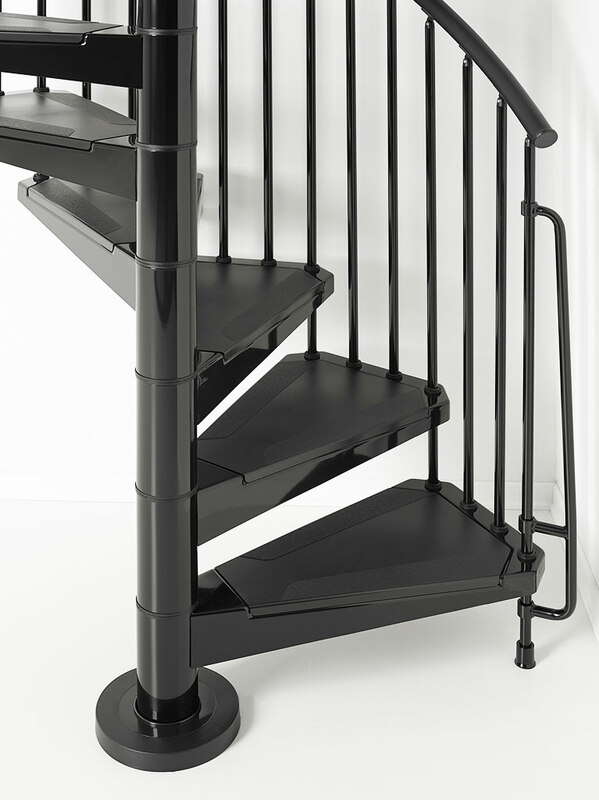 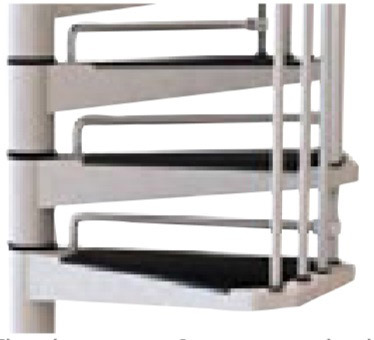 It is light in appearance with pressed steel treads all powder coated in a variety of stylish colours. 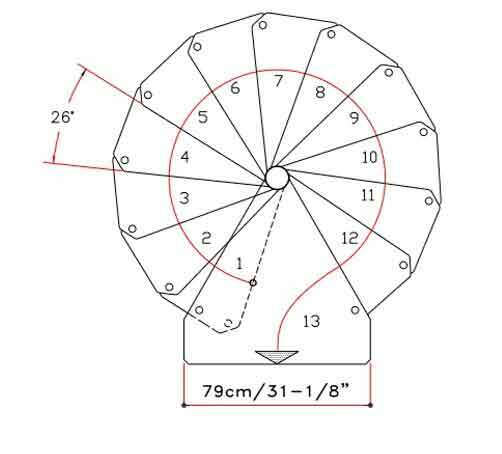 Fill out the form below for a price.